Our Fall engagement mini sessions were so much fun. The sessions are perfect for spring engagement photos, but this spring, I decided to open up the sessions to everyone including families, children, couples and individuals. 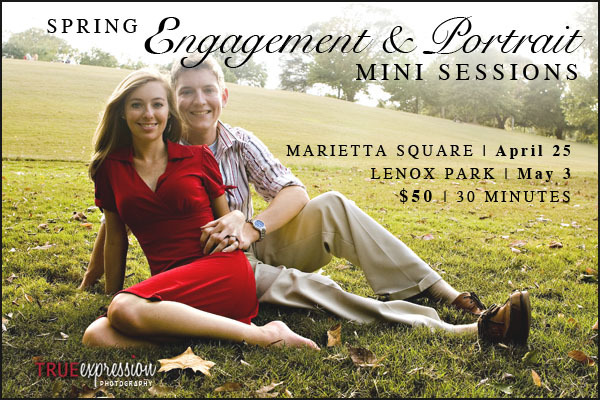 I will still be offering engagement sessions! Spring mini sessions are 30 minutes long and held at two different outdoor locations between 1:00 PM and 6:00 PM. Photos from your sessions will be placed in an online gallery on our website within two weeks of your session. Be sure to let me know what type of session (engagement, family, etc.) you are interested in you reserve your session. For groups larger than 4 people, you must reserve two back-to-back time slots.